Just like in every other casino game, in blackjack the player’s odds of winning are a statistic counterpart of the casino’s house advantage. The lower the house edge – the bigger the chances of winning! Since these odds vary from game to game, a subtle alteration of rules often changes the winning chances for better or worse. To get the most out of your bets, we have tried to explain the basic principles that determine the odds of winning blackjack games. Overall, blackjack is a casino game with a low house edge. This edge, however, is often modified with the aforementioned specific rules, so you should be careful when trying out new blackjack variants. While it is practically impossible to calculate the one number that will tell you the probability of leaving the blackjack table as a winner, it is possible to calculate which blackjack variants make the biggest positive or negative impact on the general winning chances. The variants and rules that increase the players’ winning odds the most are Double Exposure and Five Card Charlie. The rule of Blackjack Payout 2:1 also helps, as well as a rule that makes 21 an automatic win. 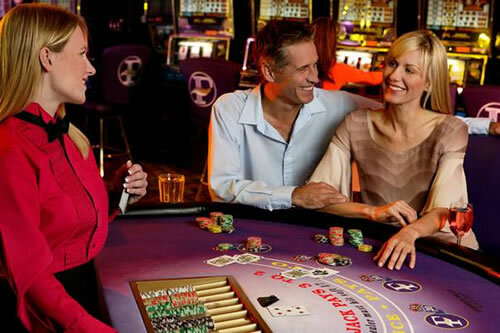 The rules that lower the players’ winning odds include: the rule that the player loses all 17-21 ties; the No Double Down and No Splitting rules, and Blackjack Payout 1:1. (Here is an exact table on which rules have which impact on your odds). Regardless of the variant you play, the easiest and safest way to win at blackjack is to actually be dealt a blackjack hand. What are the chances of that happening? The odds of winning blackjack – in other words, scoring 21 and getting a clear win (or at the very worst, a tie) – are around 4.7% and depend on the number of decks used. In a single deck game, the odds of winning blackjack are 4.827%, in a 5-deck game they amount to 4.752% and in an 8-deck game they are 4.745%. At the end, please note: while some advanced blackjack strategies can theoretically be used in land-based casinos (card counting, shuffle tracking, etc), they are all essentially useless in online blackjack. The odds we were talking about do not include advantage play into the calculations, but instead apply to basic strategy. This means they can be used even in online blackjack!